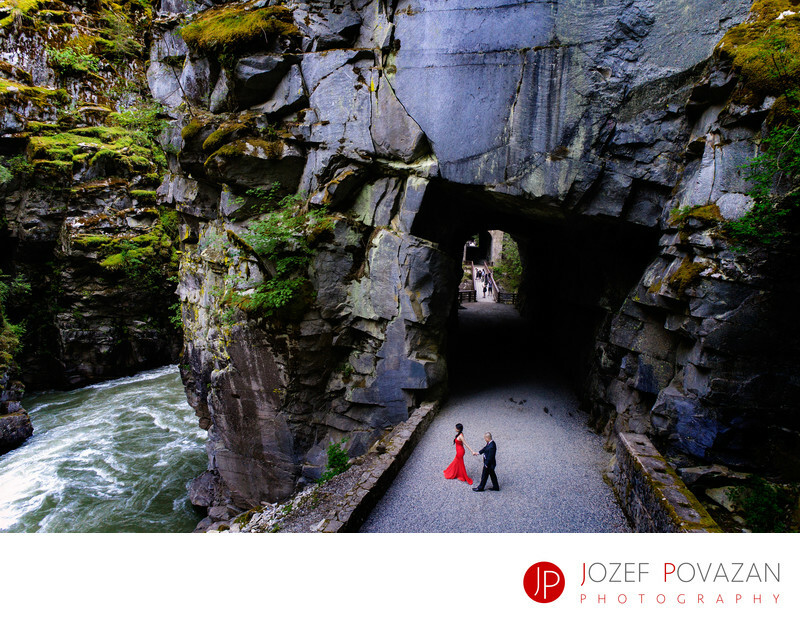 Othello Tunnels Engagement Red Dress Pre Wedding shoot - Best Vancouver wedding photographer Jozef Povazan Photography studio. Othello Tunnels Engagement Red Dress Pre Wedding shoot photographed by Vancouver wedding photographer Jozef Povazan Photography. Epic location great couple G+A rocked this dramatic scenery of tunnels, wild river and steep cliffs. Location: Othello Tunnels, Hope, BC V0X 1L0, Canada.